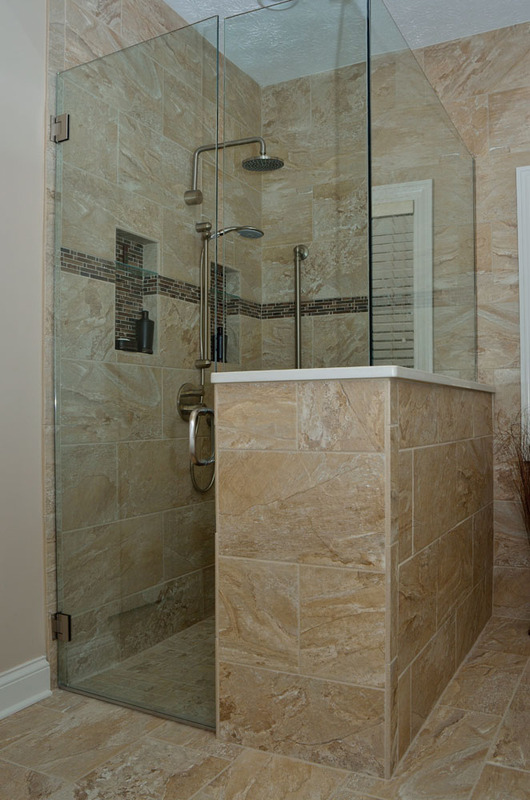 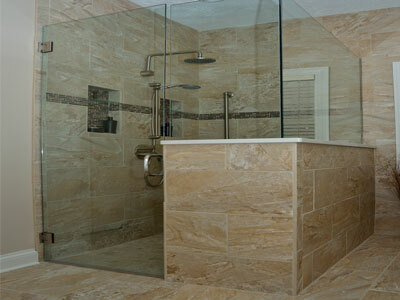 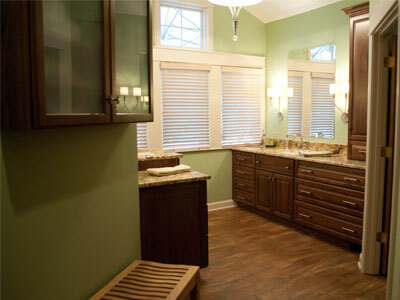 Big or small, full or half…the bathroom is one of the most highly trafficked rooms in your home. 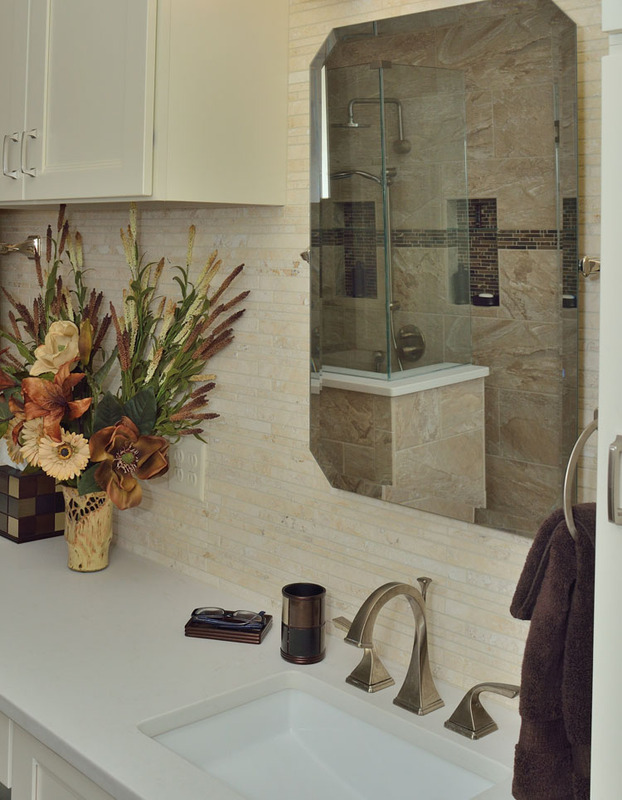 The trusted team of quality craftsmen at James Construction and Renovation understand that investing in a new bathroom is a complicated task. 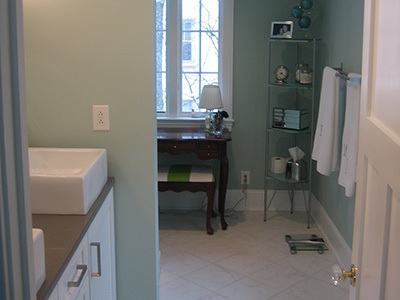 Consider more than popular trends and think functionality, proper usage of space and design longevity when designing your bath. 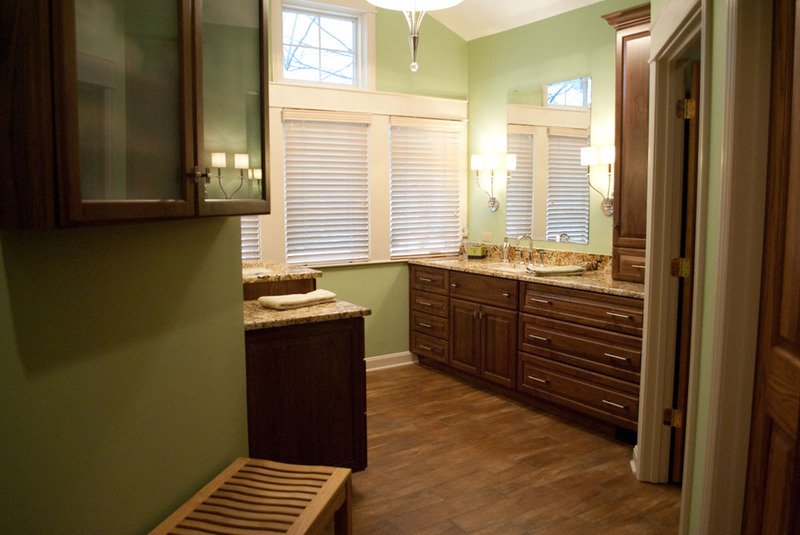 Are double sinks or a walk-in shower the best use of extra space? 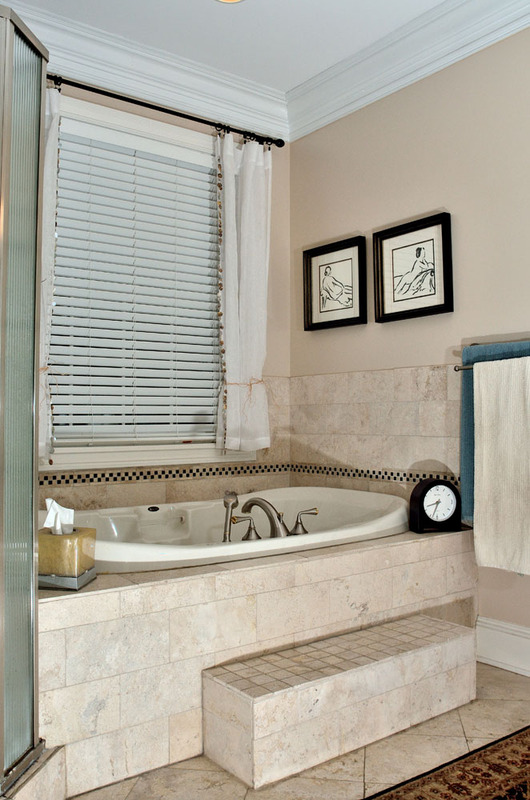 How often do you use that jacuzzi in the master bath? 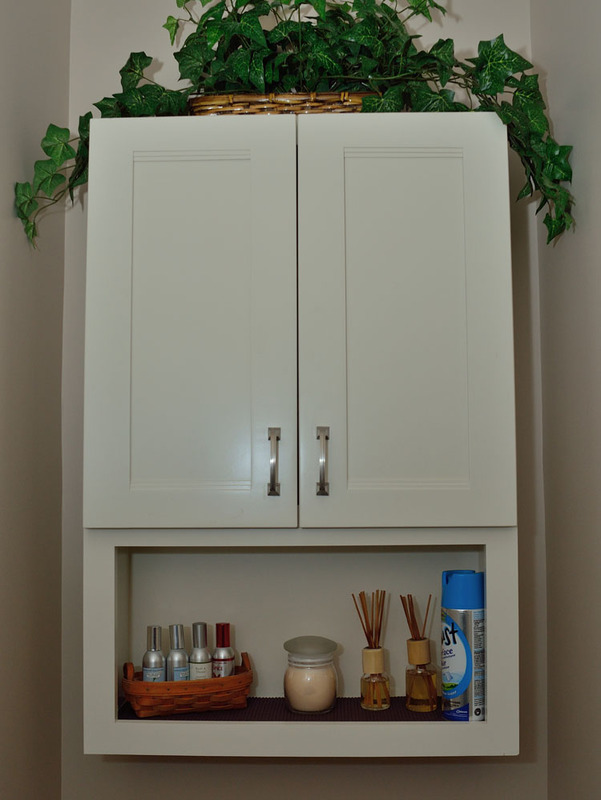 The right materials, storage options, convenience items and finishing touches can make the difference in any home’s throne room. 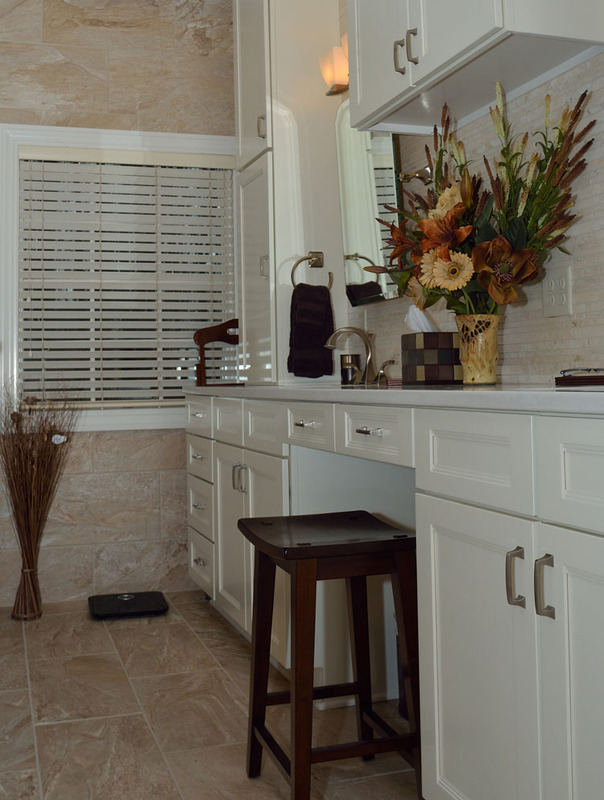 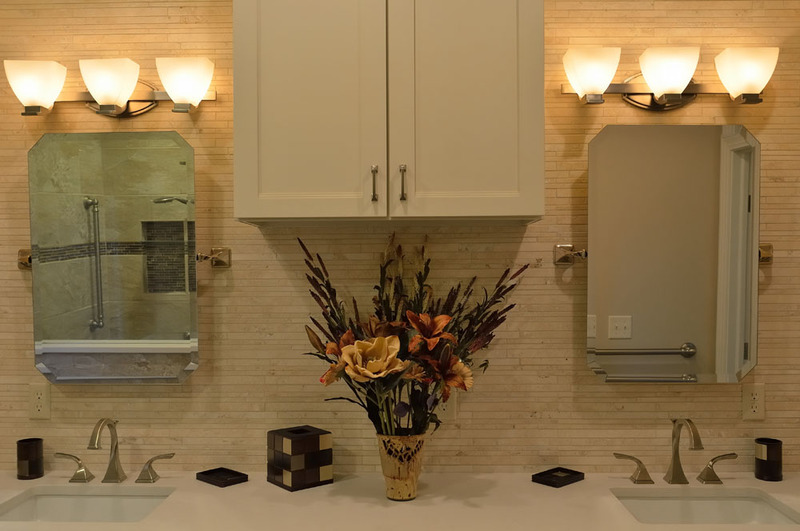 Below are just some of the Bathroom Remodelling projects we've done in Oakwood, Kettering, Centerville, Bellbrook, Vandalia, Beavercreek, Springboro, Miamisburg, and Yellow Springs! 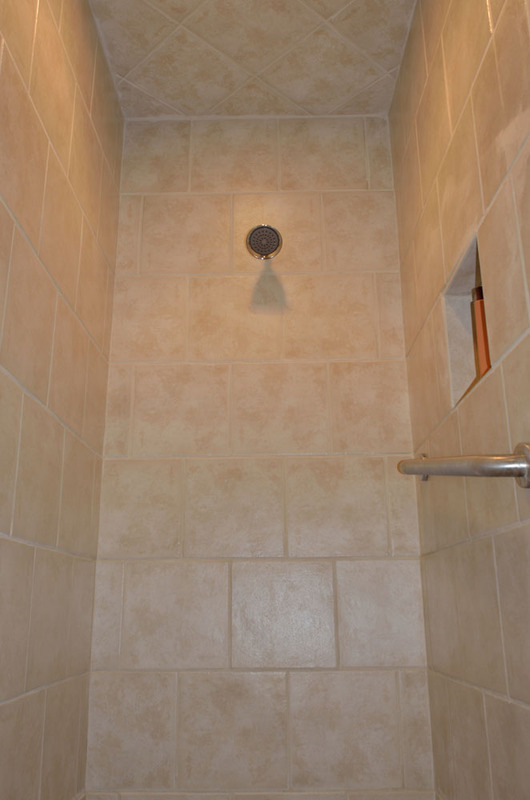 Once a bathroom with a large soaking tub, this new bathroom has true walk-in shower and a mimic wood tile floor. 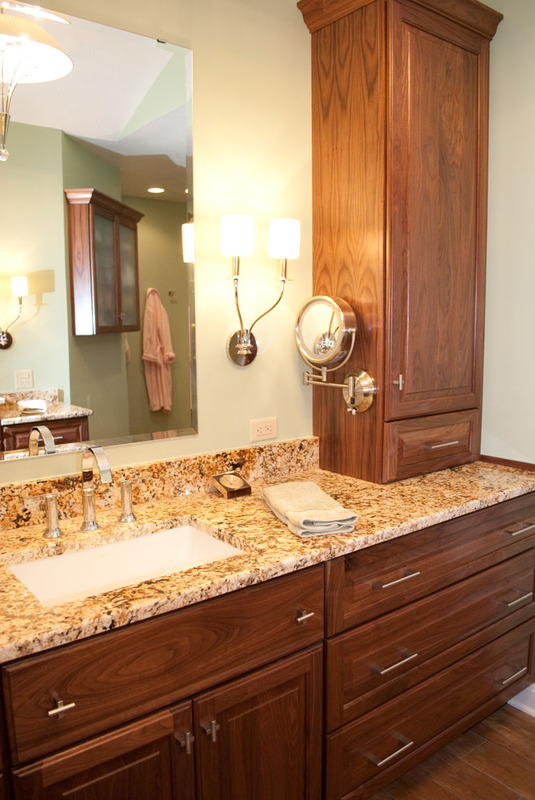 Countertops are granite and the cabinetry is Amish made. 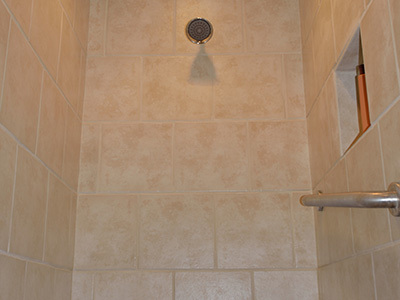 A leaky shower needed to be replaced.This new one was reconstructed in its place. 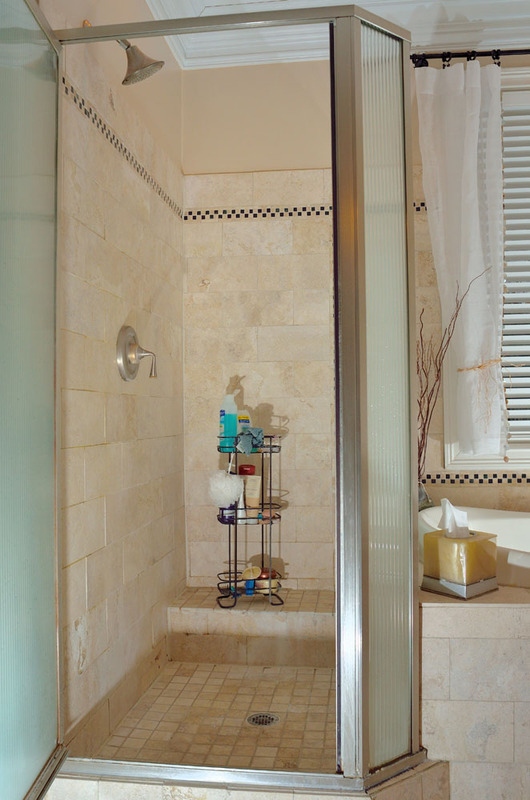 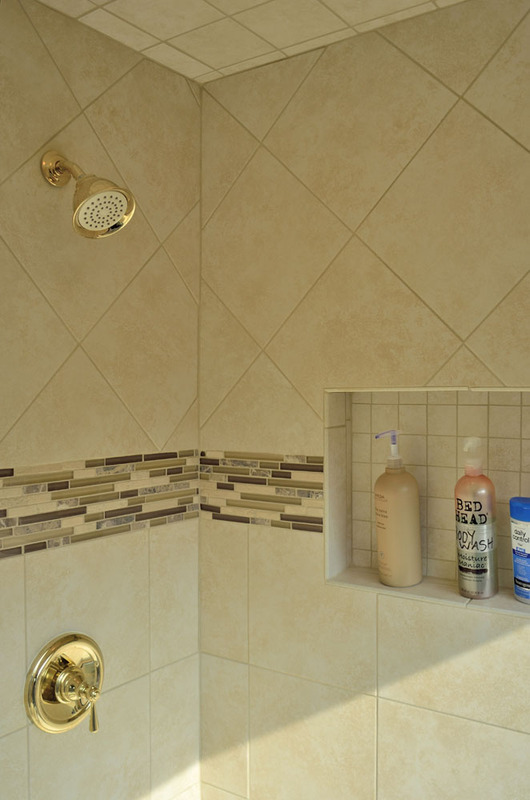 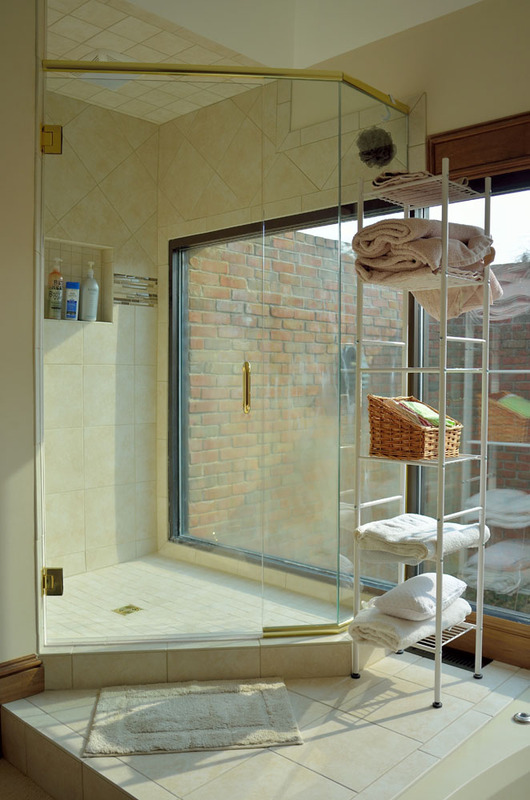 Adding a new shower fixture and shampoo cubbies increases storage and creates cleaner details. 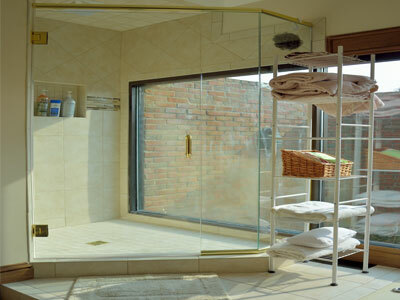 This master suite now has a walk-in shower with bench, hand-held shower head and shampoo cubbies. 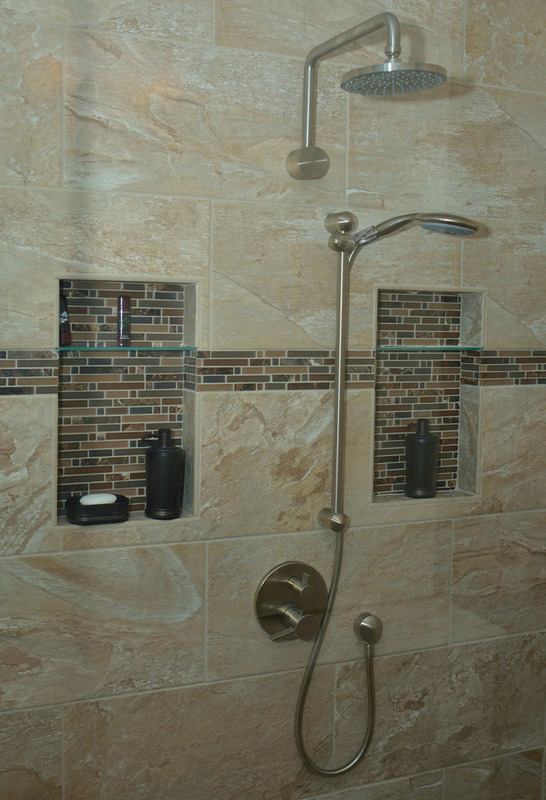 The tile carries from the shower around behind the vanities. 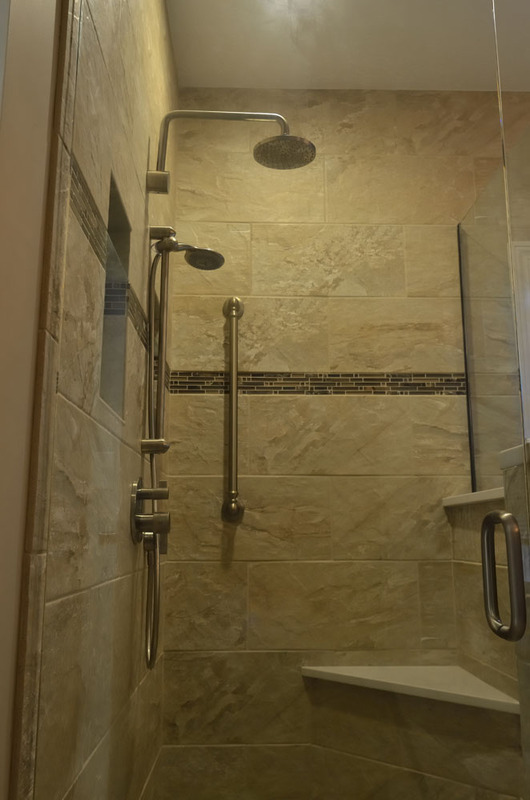 Beyond just a fresh coat of paint and new floors this house now boasts a new, large walk in shower finished with a bar for stability and shampoo cubbies. 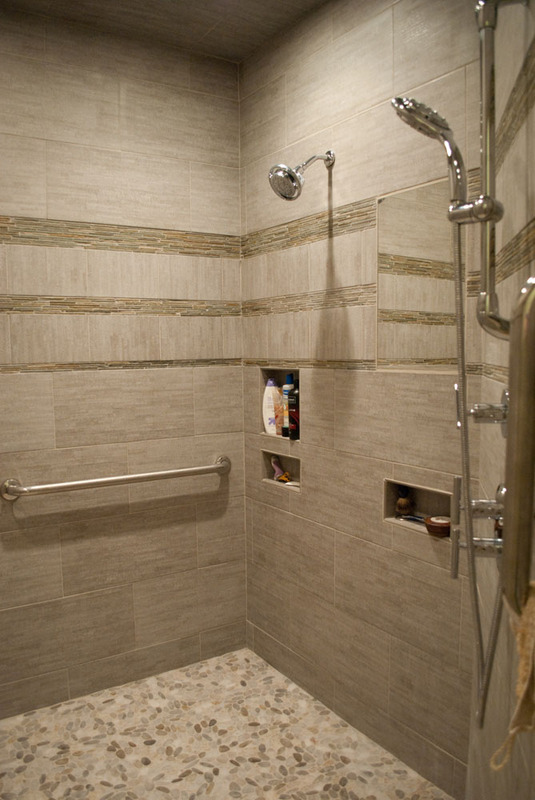 This is just one part of this whole house remodel. 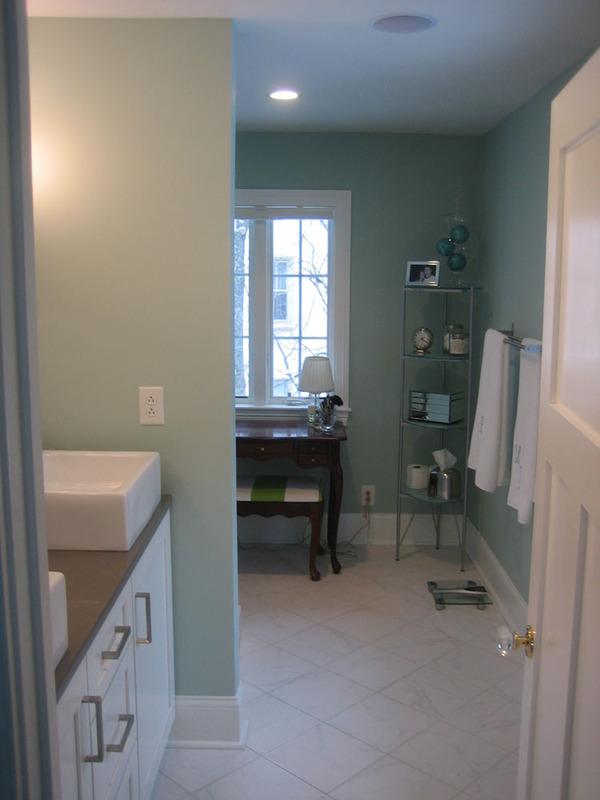 This project also consisted of transforming a smaller fourth bedroom into the new master bathroom.